Video production is simply the process of creating a video. Whether it is a company overview, product demo, video blog, social video, or customer testimonial, video can help you increase brand awareness and generate new business leads. There is no medium that has the power to demonstrate a concept and evoke a response as effectively as video. Before you embark on video project, there are some things you’ll need to consider. Don’t have time to read the whole guide? How about a copy to-go? Just fill out this quick form and read the guide when it's convenient for you. Get the guide delivered to your inbox. While the video production process will vary based on the style, content, timeline, effort, and budget, there are some basic building blocks that are common among successful video producers. The process can be broken down into three major sections: pre-production, production, and post-production. To better understand how the different phases of the process work together, we've outlined the basics below. The first step in the process of creating a video is all about preparation and setting the groundwork. During this phase, it's essential to do the planning, research, problem-solving, and organization necessary to set your video project up to be successful. The production phase is where all the raw materials for your final video will be captured. If you have specific visions, ideas, or visuals that you want to be included in the final product, be sure that you have clearly communicated that with your producer during the production phase. After the production phase is finalized, the producer and editor go to work. 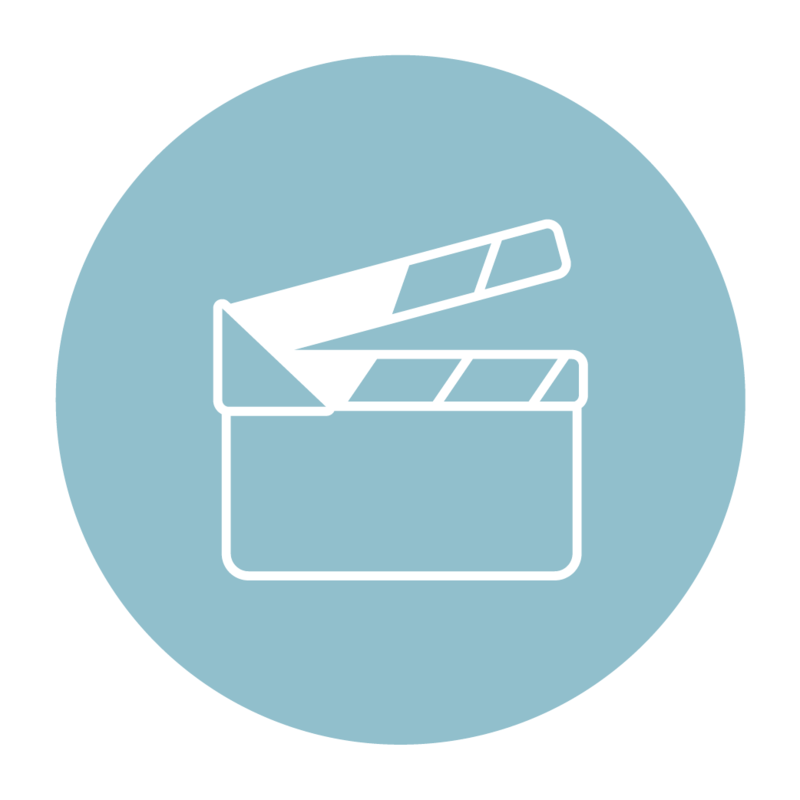 Your producer will carefully review all the footage and transcribe all of the interviews conducted. Then, they will assemble the story and the video editor does their magic to bring all the pieces together. Long before anyone hits record on the video camera, it's important to understand more than just the mechanics of capturing a video. There's a lot that goes into the strategy around creating a successful video that gets measurable results for your business. Before you do anything else, make sure you understand the video production best practices and current trends. Video has the power to be the cornerstone of any content marketing strategy as long as you understand that it's more than a visual brochure. The way we interact with content online has changed drastically in the last 10 years. Today, people are watching over 5 billion videos on YouTube every single day. That doesn't even include Facebook videos and other native platforms. Consumers have a voracious appetite for video content. There is often a disconnect between how we view video as a consumer and what we choose to create for our organization. For example, when we watch an online video we click "skip ad" as quickly as we can. Yet, when it comes to producing video content, we can't keep ourselves from turning the video into a commercial. Once you are ready to create video content, make sure that you've got the answers to the essential video production questions. Every video project is different. But these universal video production questions should give you a framework for both what you want your video to look like and what you want it to achieve. We spend a lot of time sitting down with clients discussing how we can best tell their stories using video. And while every organization is unique in how they'd like their story told, there are a series of questions that are universally useful for those looking to produce a video. What's the purpose of the video? 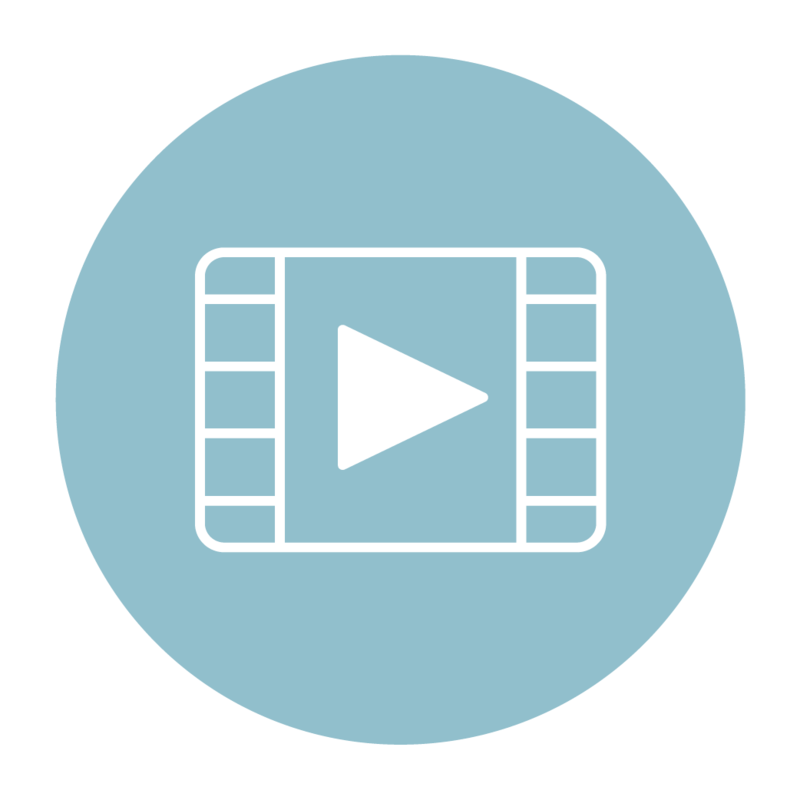 Is your video part of a strategy or campaign? How will you measure results & ROI? What emotion are we trying to evoke? Who will speak on behalf of the organization? Should I script the answers to the questions? What happens if they don't get the answer right the first time? Should I correct someone if they say the wrong thing? Who needs to approve the final video? Where will the video be shot? How will the final video be hosted, distributed, and repackaged? In order to get your video project underway there are some key elements that need to come into place. Whether you work with a company or you are looking to create a video on your own, these steps are essential to creating a video that meets your needs. If you are planning to work with a video production company, they'll help you seamlessly walk through all of these steps. A video is nothing without great content to support it, the first step in any successful video project is to understand what makes a good business story. Put yourself in your viewers' shoes and think about what they'll find interesting. They may like to know about your stats, execs, or sales figures, but only if they're really interesting. More likely, they will be interested in stories about how people are using your product or how your employees bring passion to their jobs. Powerful videos are about so much more than your 30-second elevator pitch. No matter what the length of your video is, you have the opportunity to bring your company's most captivating stories to life with characters, visuals, timing, music, and storytelling. Characters are the centerpiece of your video, so it's really important to choose the right ones. Remember that authenticity is essential and your audience will be able to tell if your video spokespeople are feeling uncomfortable or forced. Choosing the best characters for your company video can be a little tricky. Sometimes it's easier to decide who is not the best spokesperson for your video! The location of your video shoot can really influence the mood of the final video (though it's not the only factor), so you'll want to make sure that your location is in line with the story and theme of your product. In other words, does your location make sense with what your video is about? Would you rather showcase your characters in an office building, outside in a park, or in a cool building with some character? Each of these options will give your video a very different tone. Other considerations play huge role too, such as what is the best video interview background. While recording your video outside on a sunny day is a great idea, the sun can make properly lighting your video a problem. Choosing a drab conference room, can be difficult to make unique and interesting. Finding the perfect balance of lighting and a non-distracting, yet non-boring backdrop is challenging, but it is crucial to a beautiful final product. Producing a video as part of your company’s video marketing strategy requires a lot of planning, patience and confidence. With a limited supply of money and time, knowing how and when everything is going to happen is crucial for getting the job done. Though each video requires it’s own creative approach and shooting techniques, having a tried and true video production process (as mentioned above) will help you get the most out of your video production timeline. Every company or internal team will have a different timeline that they use as a guideline. For example, our timeline from start to finish is about 6-8 weeks. During that timeline all the aspects of the video have to be completed including planning, scripting, shooting, story creation, editing and more. It’s easy to treat video as the magic bullet of marketing. After all, nothing can take you somewhere, introduce you to someone, or show you something as well as a good video. However — and this is a big however — it needs to be a good video. Obviously, a good video should be well-thought, well-shot, and well-produced, but those production elements are only the start. The key to video production is putting the right types of video in front of the right person at the right time. Matching the buyer’s journey properly requires a keen understanding of both your buyers’ personas and the different examples that work best in each part of the sales funnel. The awareness stage is the most obvious place to leverage video. When people don’t know anything about your company or products, the power of the play button becomes the magnet that attracts them to check out your content. Still, it needs to be the right kind of video — short and with a very specific point. By the time they reach the consideration stage, prospects know who you are — but they want to know more. If you do it right, they’ll use videos to do their research at their own pace. The key is giving them useful, relevant, understandable information that meets their needs. If your prospect is in the decision stage, they know who you are, they even know a little bit about you, and they’re trying to decide how much they like you. You’ve done a lot of work to get them there, but they still need to make the ultimate decision — to choose you over the competition. So now you can see that video production requires a lot of expertise. Some companies are fortunate enough to be able to hire a video production team internally, but many are not that fortunate. It can be easy to think you can hire a freelancer to shoot some video content and just figure out how to do the rest on your own, but we are here to tell you there might be some reasons why you might want to hire a video production agency. You are not sure how to start or where to begin. You have a specific budget in mind, but you are not sure the best way to manage it. You don't have the bandwidth to ideate, create, manage, produce and edit on your own. You're not sure how to identify your companies most engaging and compelling content. You don't know how to prove an ROI for your video content. The greatest lever for estimating the cost of your video is the number of professionals involved. Typically, as the number of professionals need grows bigger and bigger, one thing gets proportionately bigger: Price. It's important to understand how the needs of your video will ultimately effect the cost. Once you know the scope and strategy of your video (internal vs external, posted on social media vs embedded on your website, commercial vs tutorial, etc.) you can adjust your budget accordingly. For instance, if you want to make a tutorial on how to fix a lawn mower and post it to Facebook, you can probably do that with a low-budget camera (even a cell phone) and you'll be just fine. However, if it's important to present yourself in the best light, so to speak, then you'll want to work with a company or agency that can provide better camera technicians, equipment, and production quality that will help elevate your video to the next level. Solo videographers are common and can be just what you need if you are on a tight budget and don't need a lot of fancy production. Small agencies bring experience and expertise while keeping your budget relatively small. Large agencies are used for high production projects. They can draw in big-name actors, run worldwide campaigns, but while the sky is the limit with ad agencies when it comes to creativity, so is the budget. So you don't blow your budget on more production than you need, it's important to know what different production companies offer. Because in the end, who you pick comes down to their qualifications, your project, and your budget. Videographers speak their own language. Get fluent in videography with a crash course hosted by one of our own videographers in our blog "A Beginner's Guide to Video Production Terms." Are You Ready to Get Started with Your Next Video?